HISTORY HAS NEVER BEEN MODERN LIKE THIS! A living space created by a family culture passed down for three generations in the historic streets of Sirkeci, a business and port area of the city, with the name “Historical Peninsula” that witnessed three giant empires. 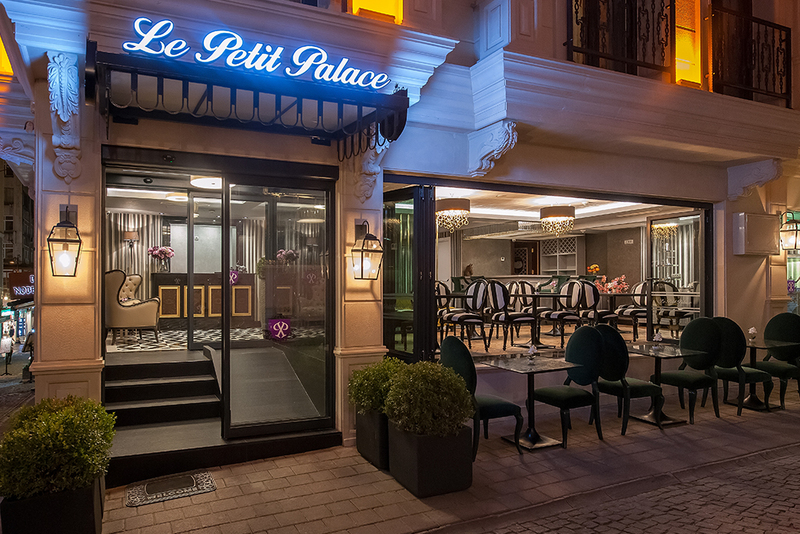 Le Petit Palace Hotel opened its doors in April 2016 with a dynamic and happy staff along with the experience of three generations and synthesized this experience with a conformist approach, bringing “Turkish Hospitality” to the historical peninsula for guests visiting Istanbul. With the “guest satisfaction” as its main mission, Le Petit Palace brings a new perspective to the industry emphasizing on environmental and human health, offering organic textiles throughout the hotel. Please provide your name and e-mail address to get save up to 10% extra discounts exclusively for guests who complete their reservations though Le Petit Hotel Website! You will feel as comfortable as you would at your home when you stay at Le Petit Palace Hotel. You will stay in our specially designed rooms with the upmost attention to the littlest detail for your comfort. You will feel at home even if you are miles away from your home. We stayed true to the centuries old traditions and combined it with a modern architecture with highest comfort for our guests. You will feel refreshed and relaxed in our comfortable and clean rooms. We used the most natural and environmentally friendly fabrics in our rooms at Le Petit Palace Hotel so you not only feel comfortable physically but also mentally. Indoor and outdoor wheelchairs and wheelchair access available as well as airport transfers upon your request. We also offer TURN DOWN service if you wish from 18:00 to 21:00 every day. Our Economic Rooms are accessible with an elevator to 1st, 2nd and the 3rd floor with garden views. These rooms compared with our Deluxe Rooms are no different in comfort and include as in Delux Rooms a flat screen TV, air conditioning, minibar, kettle, hair dryer and organic textiles. Our Economic Rooms vary between 14 to 16 meter-squares. As per your choice, our Deluxe Rooms may come with Twin of French beds and you can enjoy the city view in these rooms. You will have the real Historical Peninsula in these Deluxe Rooms located on 1st, 2nd and the 3rd floor. These rooms are decorated with the upmost care and include a flat screen TV, air conditioning, minibar, kettle, hair dryer and organic textiles. Our Deluxe Rooms vary between 16 to 20 meter-squares. As a handicapped friendly hotel we pay great attention to detail in creating a comfortable environment for our handicapped guests. This room is designed and decorated to serve your needs and located in the ground floor level for easy access. The room size is 20 meter-squares. These rooms are the same standard rooms as our Deluxe Rooms with a balcony option. Our Balcony Deluxe Rooms are located on the 1st, 2nd and the 3rd floor and decorated to serve your comfort with a flat screen TV, air conditioning, minibar, kettle, hair dryer and organic textiles. 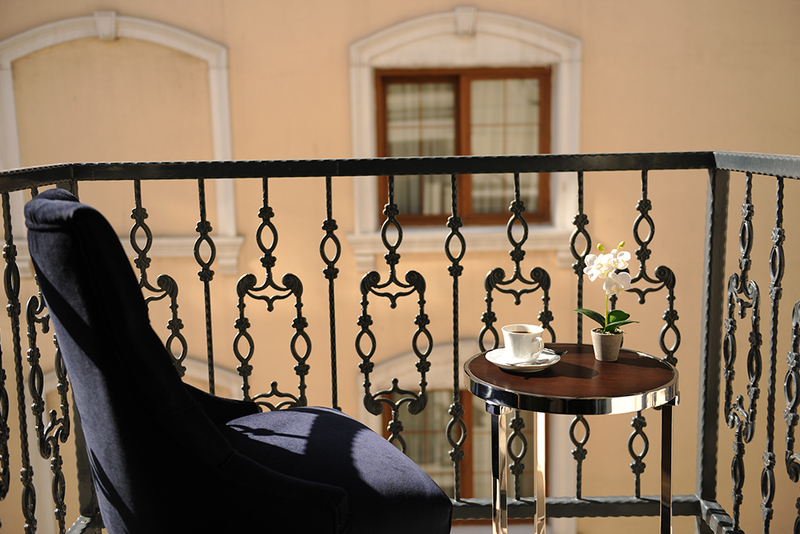 Our Balcony Deluxe Rooms vary between 16 to 20 meter-squares. The Family Rooms are located at the roof floor (4th floor) in our hotel and are suitable for groups or families of 3 or more. You can find the exquisite decoration here as well including a flat screen TV, air conditioning, minibar, kettle, hair dryer and organic textiles. Our Family Rooms are 25 meter-squares. Turkish and World Cuisine is At Your Service with Generosity! The Ottoman Era is considered a great collage of civilizations. This legacy has been reflected to history, culture, art, architecture, as well as its cuisine, as a result all tastes of the world has been blended in the Turkish cuisine. In Istanbul, where Anatolian civilizations extend to the Mediterranean and Asia with a connection to Europe, all classic flavours of the Turkish and international cuisines come together. Aside from our hotels dining experience you may also take a journey around Sirkeci and eat at famous restaurants that serve the marvelous Ottoman and Turkish cuisines. When you think of breakfast, you think of Turkey… You will not see anywhere around the world a breakfast that is prepared with such care, because breakfast for us is beyond just a meal, it is a source of happiness. With our fresh out of the oven Turkish simit (bagels), special homemade jams, menemen (special Turkish breakfast dish made with eggs) made with olive oil we bring from its source, local tastes come together in the mornings at Le Petit Palace every day. **You may also choose a variety of omelets from our menu if you wish. Sauna & Turkish Bath facilities are free for all Le Petit Palace Hotel Guests every day from 10:00 to 20:00.